Heat Flow Meter - Construction | Thermtest Inc.
"Tests are performed every day, but HFM-100 works like new." 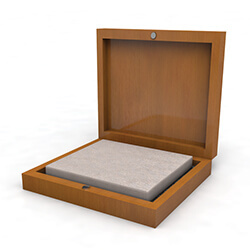 The HFM-100 Heat Flow Meter method is an easy-to-use rapid technique for thermal conductivity measurement and thermal resistance measurement of insulation products, construction materials, packaging, and assemblies. 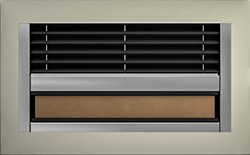 A measurement of thermal conductivity is an indicator of the ability of a material to conduct heat and can be critical for defining energy efficiency and thermal performance in materials. 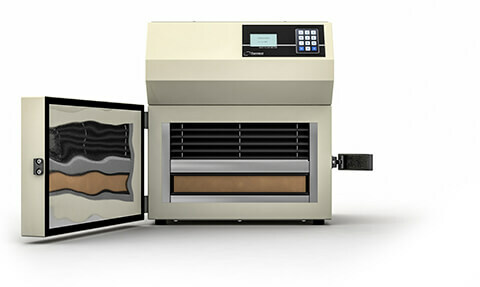 The Thermtest HFM has been designed and engineered to combine the highest accuracy, repeatability, widest temperature range, and industry-leading performance, all at an exceptional value. Follows international standards: ASTM C518, ISO 8301, and EN 12667. While adhering to multiple international standards, the Thermtest Heat Flow Meter Method is highly capable at a low price. Read about the Heat Flow Meter’s highlights. Click on an icon to jump to a section. Click the up arrow to return. Simple as 1, 2, 3. 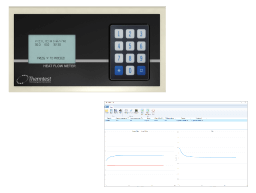 Click here for a step-by-step guide on how to setup and get a measurement with a Heat Flow Meter. 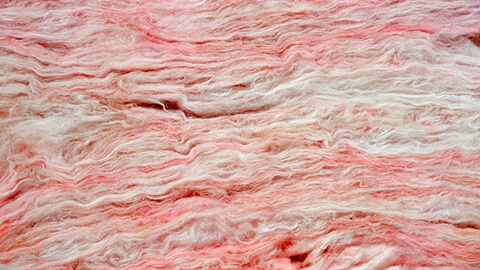 Go more in-depth and explore applications investigating the thermal properties aerogels or animal friendly faux-fur. The cost effective HFM 100 Heat Flow Meter instrument is an excellent choice when making steady-state thermal conductivity measurements of specimens such as insulation products and construction materials. Thermtest has rigorously engineered the heat flow meter to meet the requirements of international standards including ASTM C518, ISO 8301, and EN 12667. 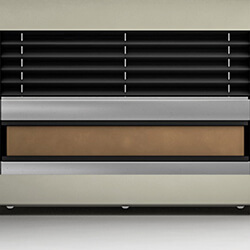 Operating the HFM is straightforward — a sample is positioned between two heating – cooling plates, and the upper plate, powered by stepper motors positioned in each corner, lowers to contact the top of the sample. 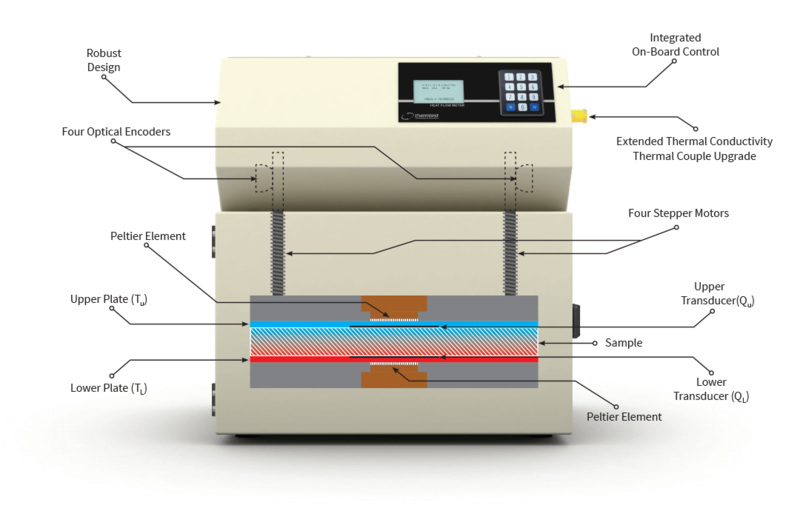 Plate contact with the test specimen is controlled by a standard pressure applied, or by a user defined specimen thickness. Stepper motors are controlled by individual optical encoders for measurement of sample thickness (L), to the nearest 0.1 mm (0.004 in). 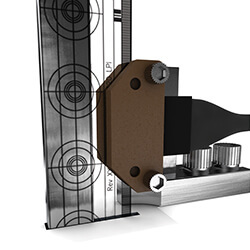 Integrated logic between stepper motors allows the upper plate to sense and adjust for specimens with surface variations, optimizing plate – specimen contact for measurements. 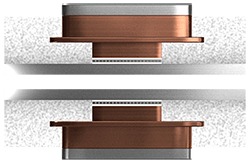 One heat flux sensor is integrated into each plate, and is used to monitor heat flux (Q/A), generated due to the difference in temperature (ΔT) between the top and bottom plate at regular intervals, until steady-state heat flux is observed. The composite heat flux is then used to calculate thermal conductivity (λ) and thermal resistance (R) according to Fourier’s Law. Following international standards, the HFM 100 Heat Flow Meter Method is designed for testing both homogeneous and heterogeneous materials. 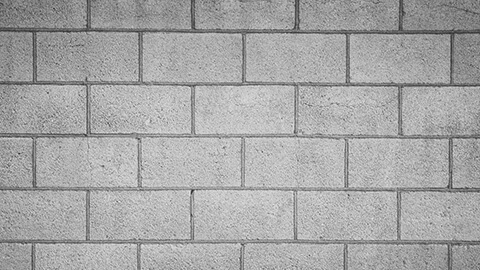 The HFM 100 sample size allows for representative testing of materials typically found in insulation and construction industries. Method is continually improved; specifications are subject to change without prior notice. A sample of NIST SRM 1450d was repeatedly tested to confirm the accuracy and repeatability of the heat flow meter method. Prior to each of 20 measurements, the NIST 1450d sample was removed, and then placed back within the HFM-100 chamber. The certified thermal conductivity for the NIST piece at 20˚C (68˚F) is 0.03239 W/mK (0.2246 BTU/(hr·ft·°F)). The average thermal conductivity value received from all 20 tests was 0.0325 W/mK (0.2253 BTU/(hr·ft·°F)). 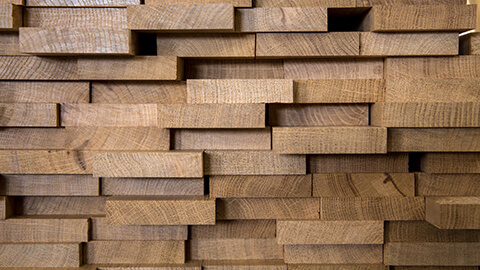 All tests had a repeatability within 0.5%, and an accuracy within 1% of the certified value. 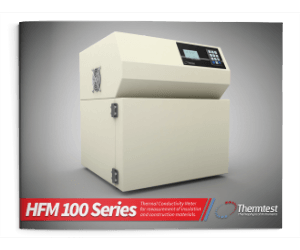 With the added High Thermal Conductivity Kit, the HFM-100 is able to accurately, and efficiently measure higher thermal conductivity materials, such as glass and ceramics. For such applications, an external thermocouple kit is used in combination with the sample being tested. Macor, Quartz, and Pyrex were tested in the HFM from 10˚C to 60˚C (50˚F to 140˚F). All measured values are within the stated accuracy of the system, +/- 5%. 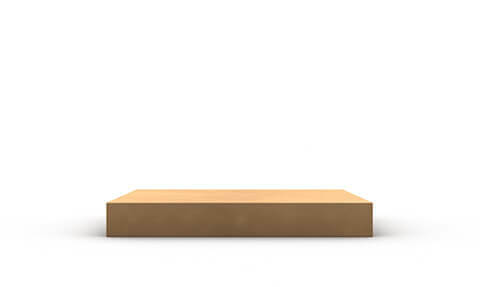 The sample should be between 150 mm and 300 mm square (6 in to 12 in square), and have parallel surfaces. 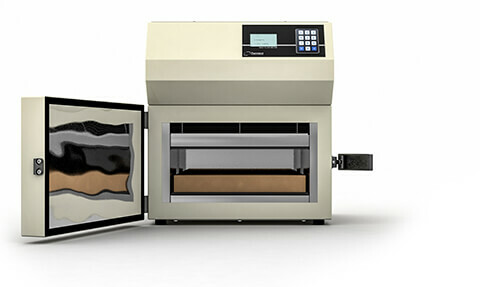 Sample height is automatically measured by the HFM 100; however for compressible materials, desired sample thickness can be manually entered for predetermined testing thickness. Place the sample between the HFM 100’s parallel testing plates. 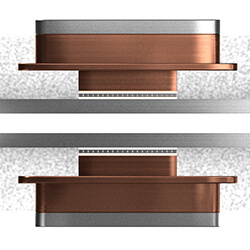 For smaller samples or samples of differing shapes from the testing chamber, place the sample within the center of the lower plate, positioned directly over the heat flux sensor. The top plate automatically lowers for rigid samples or to a predetermined thickness for compressible samples. 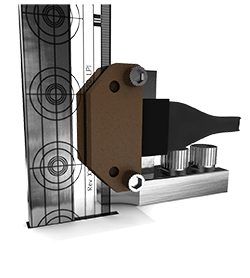 For added accuracy when testing rigid samples, the top plate makes a short confirming movement for optimum contact and measurement of thickness. Additionally, this short movement will also compensate for any issue with sample flatness. 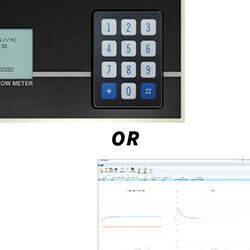 A single mean temperature or steps of temperature may be selected for an automated testing routine. Testing can be performed in either quality control (20 to 30 min) or high accuracy (30 to 60 min) modes for test times which best fit your application. Once testing is complete, results can be saved, printed, or exported to Microsoft Excel for further processing. 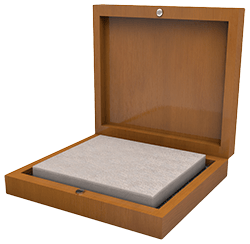 The Heat Flow Meter method (HFM), designed by Thermtest, provides users with the ability to measure thermal properties of larger, flat slab specimens ranging in thermal conductivities from 0.005 to 0.5 W/m∙K. 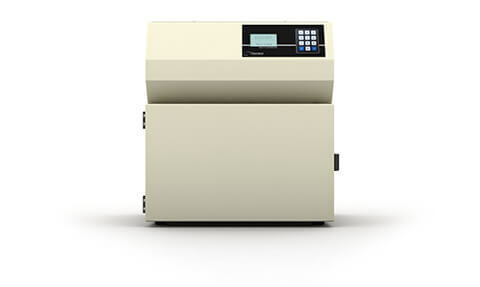 This instrument is capable of measuring the steady-state heat transfer properties of foams solids and textiles. 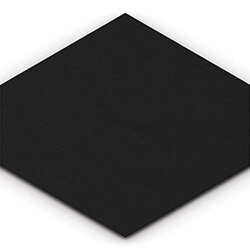 Investigating the thermal properties of aerogel blankets – the lowest thermally conductive material known to all solids. Determining the thermal conductivity of animal fur for its comparison to an animal friendly faux-fur. 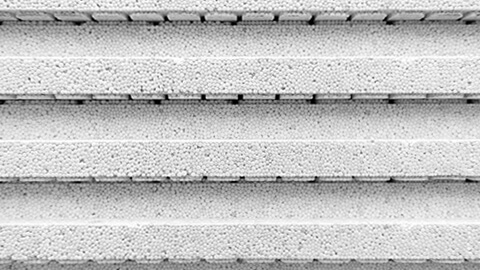 Does thickness have an effect on the insulative capabilities of extruded polystyrene? 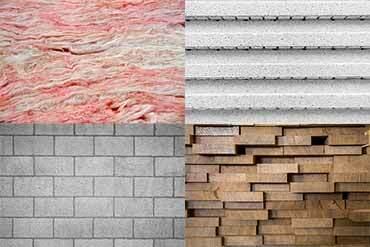 A look into the thermal conductivity of softwood, for use in construction.